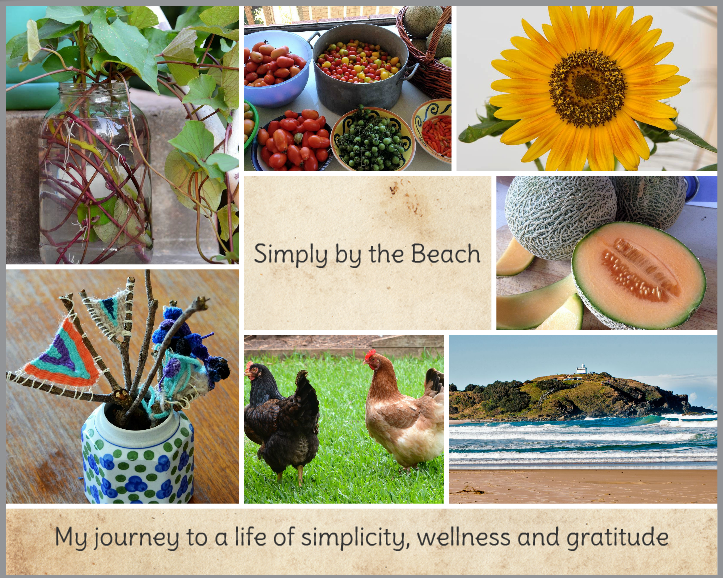 Simply by the Beach: Simply trendy? I've been wondering a bit lately if I'm able to live this simple life and still be a little bit trendy. Or is it not possible to have the best of both worlds....I've never been a trend setter or one to follow the latest fashions but I do still have a certain amount of self pride and care about how I look which in turn affects how I feel. I look back to my younger teenage days and know that then I had absolutely no dress sense what so ever and it seems now I still struggle to get past my stingey spending habits. Sometimes I am lucky enough to find a bargain. But I wonder about the value of buying a really nice piece over several cheap but not as nice pieces. I've read a few bits and bobs about minimalist wardrobes and think I should probably do something more along these lines, but I just cant will myself to throw out what I already have, which to be honest is perfectly fine - so long as you dont want to be trendy.....So what to do. This impressive spider web spans a good couple of meters high and over 1 1/2 wide. Sweet potato shoots about ready to be planted. Excess cherry tomatoes about to become relish. My Gauva "Strawberry" finally shoots after about 2 months! Around here its been quite hot outside and welcoming for the pests, so the garden looks a little less vibrant than usual while inside I'm still trying to adjust to the new routines of school - everyday! and which days suit best to do what. My oven was finally fixed yesterday so I really need to squeeze a baking fix in and I have a big zucchini waiting in the fridge to use so I am going to whip up some flourless zucchini brownies for afternoon tea this arvo. Then I also need to tick one of my monthly cleaning jobs off my list and I cant choose between cleaning the dishwasher or sorting the linen cupboard. So exciting I know! Flourless zucchini brownie ingredients about to mixed up into yumminess. These pests are eating everything, grrrr. Eggplant abundance, even though those ladybug pests are having a feast. Maisie and Lottie getting bigger and bigger. Lemon tree finally getting shoots back after the howling southerly burnt them all off. And same for the lime tree. I put up this shade cloth to protect them. Seems to work so far. My little seedlings are still just that, teeny tiny seedlings. They seem to be taking forever to get big enough to plant out. I'm beginning to wonder if something is wrong with them. They just dont seem to be getting any bigger. And with all this rain and warm weather I thought they would be jumping out of their pots by now! Time to do a little research on this I think. Over the next day or so I am going to pull the rest of my tomato bushes out as the fruit fly seem to be getting the better of me. I was certainly happy with their effort in supply this year and have to say I think I mastered the tomato finally. I will put some new seeds in for the cooler weather too as I'm pretty sure tomatoes grow pretty well all year round here. We are still managing to get a good majority of vegies for our daily consumption from the garden which remains ever so pleasing and I look forward to all the cooler weather vegies that a readily available in the shops but not at home as they are clearly not seasonal!